"Hey Google, Activate Good Morning"
Voice command via your Savant Pro Remote stands always at the ready. But there may be times when it’s more convenient to access your smart home features via your Google Home device. Savant and Google Home are completely compatible, so just say the word to set the Savant Scene perfectly. — All without lifting a finger. A Savant Pro System running da Vinci 8.4 or higher. A Savant Pro App user linked to your account. Please contact your Savant Authorized Integrator for more information about upgrading your home to da Vinci 8.4. 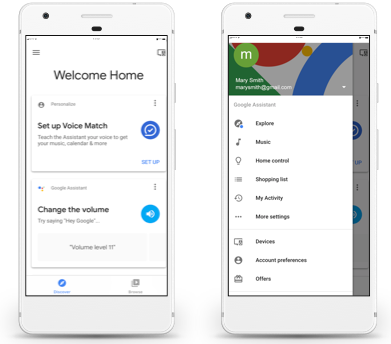 Google Assistant is built into many devices that you may already have. If you have Google Assistant already, check this out. You have a Google account already set up. You have a Savant Pro App Account set up. From your mobile device, select the Google Home icon. In the menu that opens, select Home control. Select the DEVICES tab if not already highlighted. Select the Add button from the Home Control screen that opens. Select Savant Systems from the Add Devices page that opens. Enter your Savant Pro App login credentials and select LOGIN. Read the permissions screen and select ALLOW to the request if you agree. 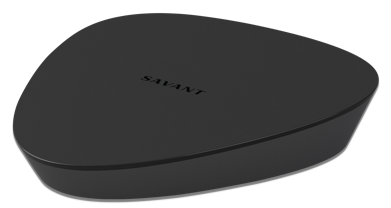 The devices in your Savant Pro system are automatically assigned to a room. To change the room assignment, select the edit icon and modify which room the device is assigned to. If the default rooms are OK, select DONE. In the "You're all set!" screen, select GOT IT. At this point, the Google Home device is now ready for commands. Speak any of the support Savant Actions to the Google Home device and verify the command is executed. Refer to the Supported Commands section below. Turn On any scenes (shared or authenticated user) that do not include and unlock or disarm function. Turn On the Room to the last active A/V service. Turn Off the A/V service in the Room. Turn On all lights in the Room to full brightness. The Show Room Control Tab checkbox in the lighting data table must be checked. Turn Off all lights in the Room. The Show Room Control Tab checkbox in the lighting data table must be checked. Increase the level of brightness in the Room to a level between 0 and 100%. The Show Room Control Tab checkbox in the lighting data table must be checked. Incrementally increase the level of brightness to the lights in a Room. Try it with "a little" or "a lot" to increase the increment. The Show Room Control Tab checkbox in the lighting data table must be checked. Incrementally decrease the level of brightness to the lights in a Room. Try it with "a little" or "a lot" to decrease the decrement. The Show Room Control Tab checkbox in the lighting data table must be checked. Check that your Savant user account been verified. Be sure to respond to the verification email you received when the account was created. Ensure your Savant user account is an administrator to the Savant Home. If there are multiple Savant Homes linked to the Savant user account, confirm you have selected the correct home. Verify the Savant device was discovered. Select the Menu icon and then select the Smart Home icon. Select Devices from the Smart Home page that opens. Verify the device is Discovered. Select the Discover button icon to rediscover the device. Google States: I found several devices matching that name. Which one did you mean? Ensure the name of the device is unique. Ensure the Devices all have a unique name. Modify the name in the Savant Pro App as required. After renaming the device, tell Google to discover devices or select the Discover button. Google is having trouble connecting to the Savant Host. Verify both the Home device and the Savant Host have an internet connection. Confirm that the light supports the command you are using. For example, a light that cannot be dimmed or is configured as a “switch” will return this response to a dimming command.